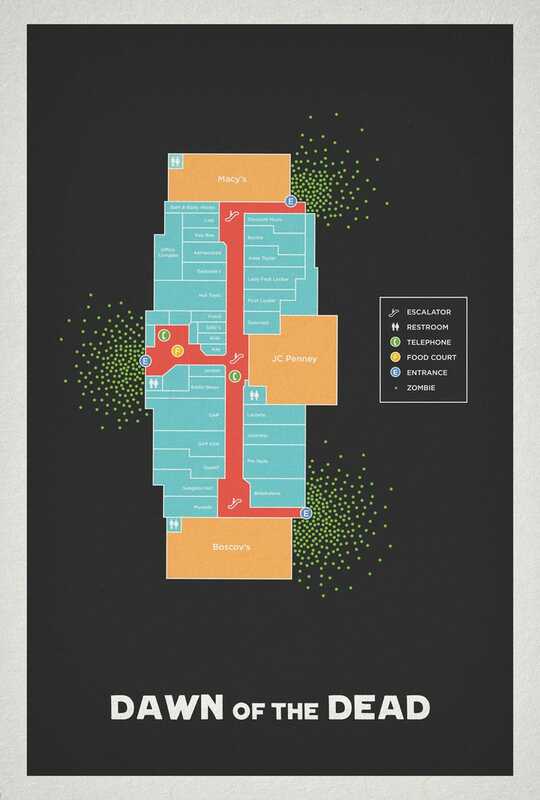 What would the Dawn of the Dead mall map look like? If the mall map from Dawn of the Dead were ridiculously up-to-date, it would likely resemble Matt Owen's layout. Because you really need to know where Boscov's is as the world's coming to an end, of course.